Pancake Day is my favourite holiday (ok so maybe it’s not an actual holiday, but a girl can dream, right?) of the year, I think, after Christmas, and much as I love hazelnut spread, it also trumps World Nutella Day. I know that you can easily make your own pancakes at home – in fact, a feature of my university life was pancake parties with my fabulous Luxembourgish housemates – but, I don’t know that I really would want to demolish an entire stack just on my own. 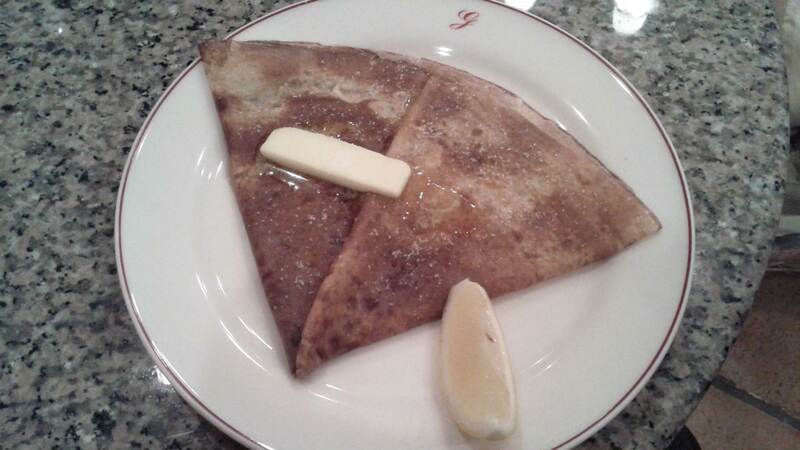 So a lovely treat for me is to find a crêpe or galette joint and just savour every mouthful. My wonderful French friend took me to this gem tucked away in Shibuya, just far enough away from the station that the crowds start to dwindle. At Galettoria – aka pancake heaven – ¥2,000 bought us the set menu which consisted of a drink, a mini salad, a savoury crêpe, and the part that can only be described as being as dear to me as “My Precious” is to Gollum, the dessert crêpe. 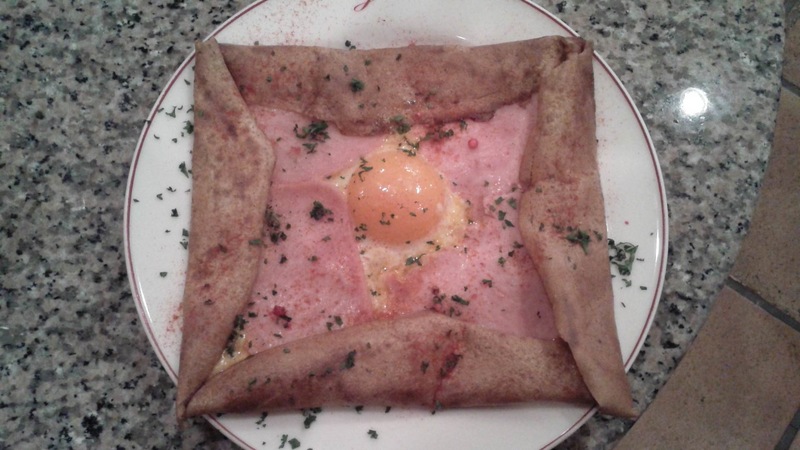 I chose the ham, egg, and cheese galette as a main dish, and opted for sugar and lemon for dessert. All of the options looked equally amazing. My friend had the chocolate, which was just decadent and gorgeous, and a number of other diners (all of whom were women actually, not a man in sight) chose the butter and caramel version. I can assure you that I will be going back until I’ve tried them all. What’s also lovely is that it may be off the beaten track just enough that you can sit down and take a break without being too far away. Finding somewhere to just chill and chat with a friend can be a challenge in Shibs. Finally, possibly my favourite thing about this eatery, aside from the delectable crêpes, is the décor. It is so French! So quaint and rustic, exactly as though it belongs in the French countryside. I was quite overcome with nostalgia, and yearned for France once again. My musings must end here today, but I do hope you have had a truly marvellous and happy Pancake Day! I would love to know how you celebrated if you did. What are your favourite pancake fillings of all time? What is the weirdest thing you’ve ever had on a pancake? I’d love to hear your stories! If you are in Tokyo either now or in the future, I highly recommend this splendid crêperie. That looks like so much fun! The food looks delicious. 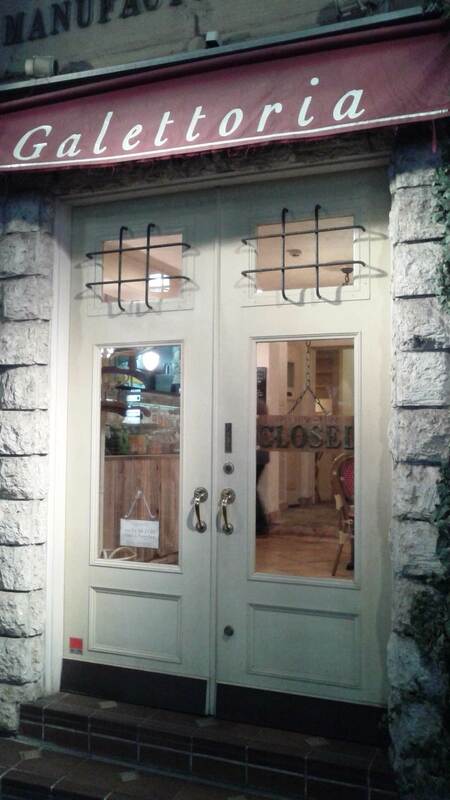 Tokyo seems so fun and diversified -I wouldn’t have expected to see a French restaurant there. I definitely need to travel more! All of that looks and sounds amazing! Are you a big breakfast for dinner fan as well? I used to be a huge Nutella fan, but then someone introduced me to this Lotus Biscotti spread that is simply and absurdly delicious. You should try it! I am quite partial to pancakes any time of the day 😉 But I have been known to have cereal for dinner when I’m especially tired after work. Haha, that’s quite funny indeed 😀 I’m glad you made up for it 😉 One should always have pancakes! I adore my pancake day… I tried pancakes with orange syrup this year- delicious! Sounds super yummy! 🙂 I’m glad you celebrated!